I had missed celebrating New Year’s with friends at the Elfin Lake hut due to work only to find myself there less than two weeks later. Three of us snowshoed into Garibaldi provincial park where we spent two nights at the Elfin Lake hut. With heat and cooking facitities provided we spend the days riding our thermarests down slopes and taking photos. 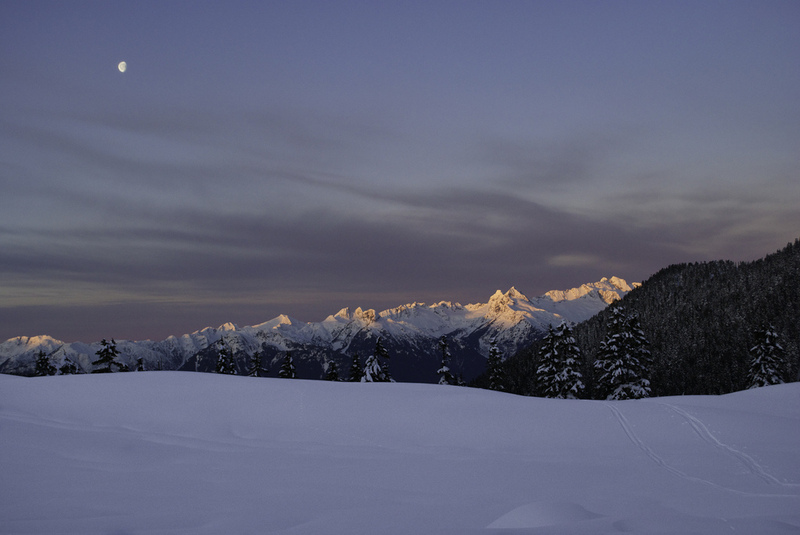 This one here was one of my favourites, the Tantalus range at sunrise.